UK radiologists working for the National Health Service (NHS) face an increasing workload stemming from a number of forces ranging from lack of investment in radiology services to a shortage of radiologists that have resulted in a backlog of more than 300,000 people waiting a month or more for their imaging results. NHS radiologists are increasingly outsourcing some of their reports to private companies in the UK to the tune of more than €17.2 billion (Euros) in 2013. The debate became heated over the issue of NHS radiologists moonlighting for the private companies, which pay more than the radiologists are paid in their NHS day jobs. Dr. Clive Peedell, of the National Health Action Party, a political party, Dr. Peedell founded to bring attention to the problem argued that outsourcing threatens to undermine the NHS. Dr. Giles Maskell, president of the Royal College of Radiologists (RCR), took a balanced view of the problem, suggesting that due to the current shortage of radiologists, patients would have to wait even longer for their reports without outsourcing. At the same time he acknowledged the obvious inherent conflict of interest as NHS radiologists doing fewer reports during the day so that might be paid more for doing them at night working for the private companies. Beyond the workload issues, Dr. Maskell asserted that clinical quality is compromised by outsourced scans due to a lack of clinical context provided with the orders often resulting in unneeded repeat scans, and by the question of stamina. He suggested that NHS radiologists working all day and late into the evening are not going to be as effective with either the daytime reports or the evening work. 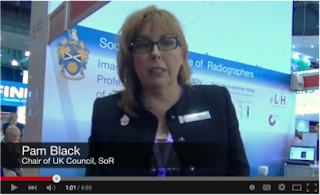 While no solutions to the problem were proposed, Chair of UK Council of the Society of Radiologists and a panelist, Pam Black, said that more radiographers trained in reporting, as well as better use of those who already have the required training were key to reducing the reliance on outsourcing and any long-term solution.